The 2019 AGM, which celebrates our twenty-fifth anniversary, will take place in Greece from Thursday 17 to Sunday 20 October. 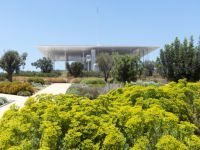 It will be based in Athens with a focus on dry gardening and coping with the present climate challenges. There will be a Pre-AGM tour on the Ionian Island of Corfu and a Post-AGM tour in Pelion, a mountain region in the south-eastern part of Thessaly. 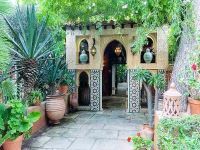 Over the years, members have been invited to some of the loveliest parts of the mediterranean world where they meet up with friends, old and new, in the warm October sunshine. Here are brief notes on all the Annual General Meetings that have been held since 1998.